Implementing processes can be tricky. Too much process and you stifle creativity. Too little and your team can't scale or repeat previous success. Egress Solutions, helps companies adopt just the right amount of structure and process prescribed by well-known frameworks like Pragmatic Marketing™, Lean and SAFe. Michael Smart, brings more than 25 years of high technology industry experience in a variety of leadership roles to the business. In this podcast, he shares the tricks to make your Product Management Team more measurement-driven for long-term benefits. 4. our team has been through product management training... now what? 5. should you hire or "grow" your next product management leader? 8. Implementing a Product Management Framework: Think Lean or Not! 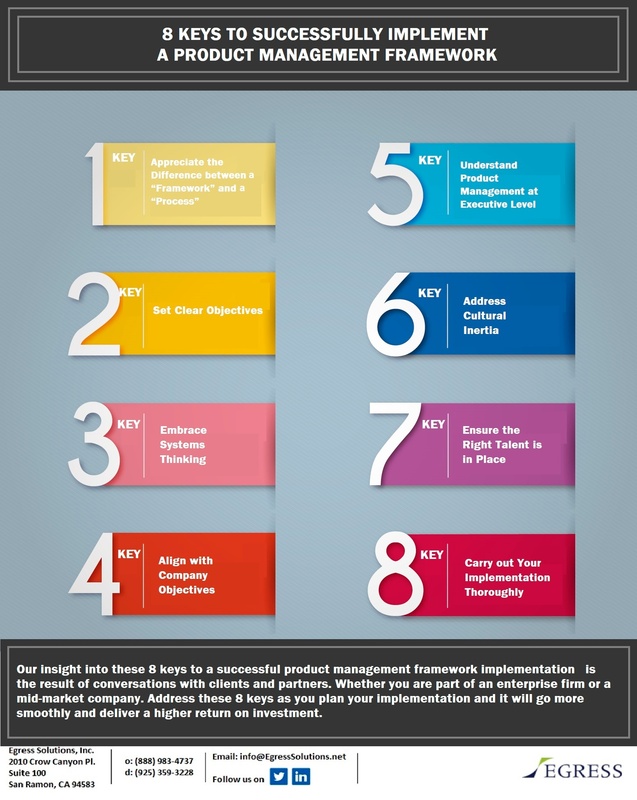 Feeling overwhelmed about putting a product management framework in place? Our services are designed to help you and your team define and create the innovative products your market wants. Every client is different, but our process allows us to start wherever you are and help your organization make rapid progress. Your team has made improvements, however they need to clear the next level of performance. There are gaps and skill deficits that must be addressed. Our tailored product team assessment examines multiple factors that affect team and individual performance. Seeing the strengths and skills gaps in the product management lifecycle will help you adjust priorities, modify roles and become more effective. Uncovering what products and enhancements clients want, then shepherding them to market before your competition, requires both art and science. Our product management consulting builds upon industry-leading systems like the Pragmatic Marketing Framework™, SAFe® and Jobs-To-Be-Done. Through custom product management workshops, coaching, and comprehensive implementation services, we help you align your team, tune into your customers, and capitalize on market opportunities faster. © 2019 Egress Solutions, Inc.